"Looking South into Loas. Eddie and his jeep and trailer. He was wounded near this spot and died later at the medic station we had set up behind us in the picture. This was the first few hours after we landed at Peanuts. 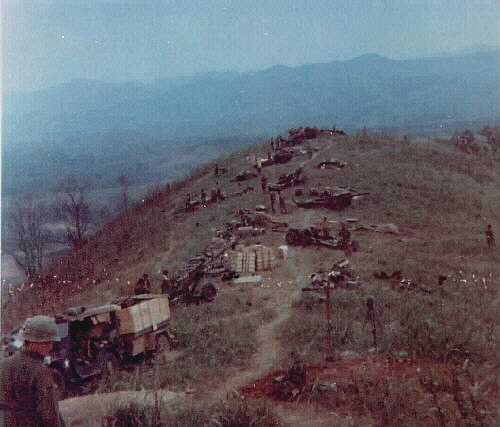 The trail thru the position was made by the NVA prior to our arrival."